On January 27, 1984, Jackson suffered second degree burns on his scalp while filming a Pepsi commercial at the Shrine Auditorium in Los Angeles. A pyrotechnics accident set his hair on fire in front of the auditorium full of fans who were there for a simulated concert. Jackson sued PepsiCo and settled out of court for $1.5 million. The settlement was donated to the Brotman Medical Center in Culver City, California, where Jackson received treatment for his burns. Using the money donated by Jackson, Brotman was able to get the best available technology for treating burn victims. The burn ward at the hospital was later named the “Michael Jackson Burn Center” to honor Jackson and his generous contribution. The 1984 Victory Tour, headlined by the Jacksons, introduced more than two million fans to Jackson’s solo material. Following the tour, Jackson donated his $5 million share from the tour’s profits to charity. 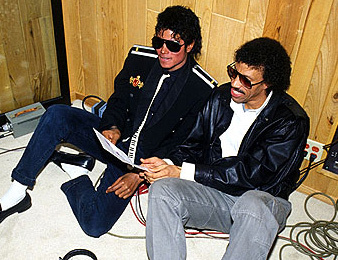 Michael Jackson and Lionel Richie wrote the charity single “We Are the World” in 1985. Both artists were among the 39 musicians who recorded the song. The single was released around the world to and proceeds went to help the needy in Africa and the U.S. Almost 20 million copies of “We Are the World” were sold, making it one of the best-selling singles of all time. The project raised millions for famine relief. Jackson donated 100 percent of the profits from him single “Man in the Mirror” to charity. President George H. W. Bush commended Jackson for his achievements and presented him with the White House’s special “Artist of the Decade” award in recognition of his musical influence during the 1980s. Jackson founded the “Heal the World Foundation” in 1992. 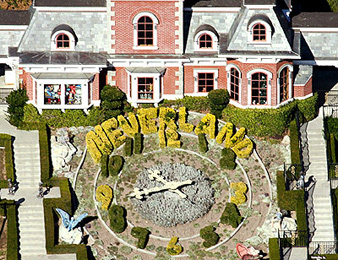 The charity organization brought underprivileged children to Jackson’s Neverland ranch to ride theme park rides the singer had built on the property. Heal the World also gave millions of dollars to help children around the world who were threatened by war and illnesses. When Ryan White, a hemophiliac teen from Indiana was kicked out of school in 1985 because he contracted HIV from a contaminated blood treatment, Jackson became one of his advocates. After White’s death in 1990, Jackson pleaded with the Clinton Administration at Bill Clinton’s Inaugural Gala for more funding for HIV/AIDS charities and research. Also in June 1999, Jackson organized a series of benefit concerts in Germany and Korea. He recruited Slash, The Scorpions, Boyz II Men, Luther Vandross, Mariah Carey, A. R. Rahman, Prabhu Deva Sundaram, Shobana Chandrakumar, Andrea Bocelli and Luciano Pavarotti for the Michael Jackson and Friends concerts. The proceeds were donated to the “Nelson Mandela Children’s Fund”, the Red Cross and UNESCO. Jackson released his first autobiography, Moon Walk, in 1988. The book took four years to write and detailed alleged abuse Jackson suffered as a child and his plastic surgeries. The book topped the New York Times best seller’s list. After the 9/11 attacks, Jackson helped organize the United We Stand: What More Can I Give benefit concert at RFK Stadium in Washington, D.C., which aired on October 21, 2001. Dozens of major artists performed at the concert and Jackson sang “What More Can I Give” as the finale.